The Election Commission awarded the AIADMK’s ‘two leaves’ symbol to the group led by Tamil Nadu chief minister Edappadi K Palaniswami and his deputy O Panneerselvam, citing the overwhelming support it enjoys among members of the legislative and organisational wings of the party. The order marks a blow to former CM J Jayalalithaa’s aide V K Sasikala, appointed interim general secretary soon after the supremo’s death last year, and her nephew T T V Dhinakaran, who was made deputy general secretary. Sasikala is currently serving a four year prison term in Karnataka after being convicted in a corruption case. 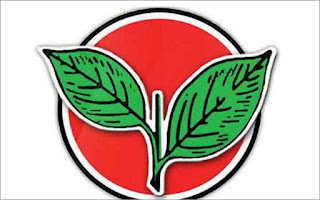 Acknowledging the EPS-OPS group as the ‘real’ AIADMK, the poll panel said it shall be entitled to use the party’s reserved poll symbol in all future elections. As per the affidavits submitted to the EC, the EPS-OPS faction has support of 34 Lok Sabha MPs, eight Rajya Sabha MPs and 115 MLAs, including four from Puducherry. The EC, however, did not go into the validity of decisions taken in the AIADMK general council meeting on September 12, including Sasikala’s expulsion from the party. “It is for the courts to decide such matters,” an EC official said.